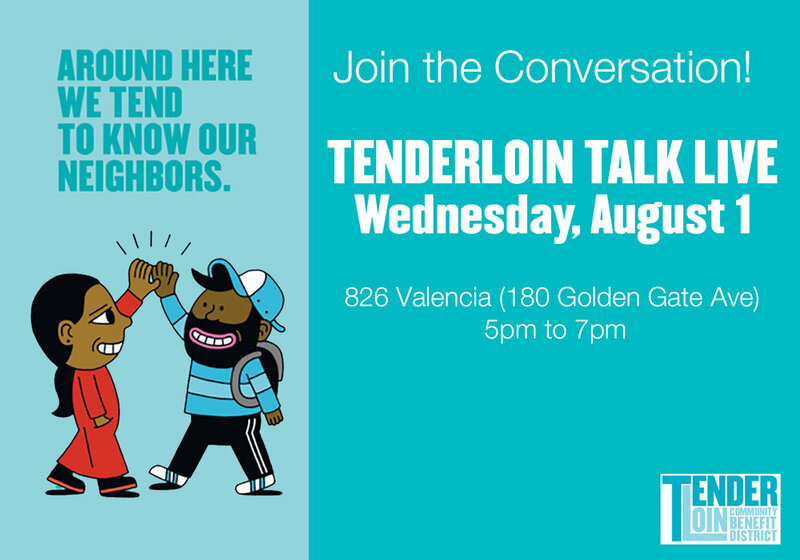 Your next edition of Tenderloin Talk LIVE is August 1, from 5-7pm. Join us in conversation. For translation or child care service, request by July 25 via phone or email above. During our last Tenderloin Talk LIVE event held at the Tenderloin Museum on May 9th, we gave an update on Invest Tenderloin, the 18-month fundraising campaign meant to deepen existing TLCBD programs and to create a much greater impact on the community and quality of lives in the Tenderloin. To date, we’ve raised $347k of our intended $1Million. With those funds we are expanding our camera network, activating Turk Hyde Park, cleaning our sidewalks, and improving lives. Among the topics discussed on May 9th, was TLCBD's Micro-Neighborhood Cleaning Program, the first of which launched in June in Little Saigon. We’re creating at least six smaller geographic areas within the District boundaries to be serviced by a Clean Team member on a daily basis. This will provide the potential to triple the number of times a Clean Team member passes the sidewalk in front of your home/business/building. While allowing us to provide a much more engaged and focused service, we hope to foster connection and pride amongst neighbors. The Invest Tenderloin campaign was first announced at Tenderloin Talk LIVE #3 held at De Marillac Academy in January 2018.